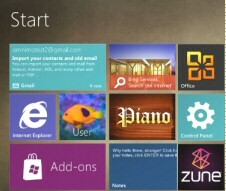 Windows 8 will have two user interfaces, the new Metro style and the classic desktop with it’s traditional icons and toolbars. Here are Microsoft’s design goals for the new Windows 8 Metro Interface on a touch-screen computer. Simple grid layout with a consistent Segoe font. Users need only a limited gesture set. Direct manipulation including sliding and reversible gestures. Content rather than toolbars, hence chromeless edges. Consistent ‘Charms’, e.g. Search, Select, Share, Settings and Devices. You can drag the existing tiles into more useful configurations and thus make the Apps easier to find. Perhaps the best way to discover more about these tiles is to create another on the Windows Metro UI. Just hit the key corresponding to the first letter of your chosen App, say type ‘s’ for ‘Snipping tool’. 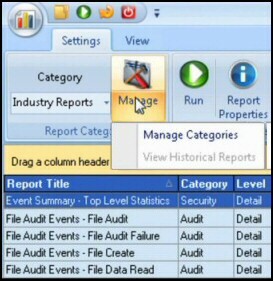 From the list of applications tiles right-click on say ‘Snipping tool’, now look down and see ‘Pin’. As you click on ‘Pin’ so a tick appears on the tile. When you want to get back to the main screen press the Windows key. Tiles that appear rectangular can be made square by right-clicking and looking for ‘Smaller or ‘Larger’ next to Unpin. Takeaway: The Windows key, and right-click are your friends when you want to configure your tiles. Note: Metro style Apps, require a screen resolution of 1024 X 768 or greater. Microsoft has developed two Windows client models: Metro and classic. While the main interest will be on the Metro UI, there will also be the classic, familiar desktop with icons and toolbars for those Windows die-hards. If a program that worked in Windows 7 does not seem to be working in Windows 8 remember that the classic mode is meant to be 100% backwards compatible. It’s interesting to note that the Metro style will also be the default user interface for the Windows 8 Server, however many techies are likely to switch to the classic desktop. 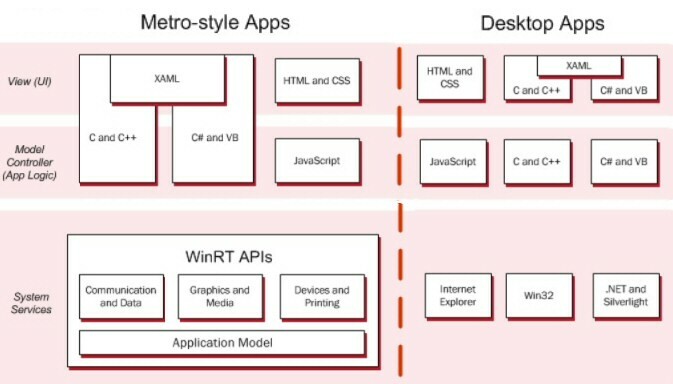 Here below is a comparison between the new Metro-style Apps and the traditional Desktop apps, note how the touch screens are primed to take advantage of the WinRT (Run Time) APIs. The WinRT APIs are designed to be asynchronous, the Apps are also sandboxed to prevent interference. I also noticed that WinRT APIs don’t use Silverlight. The Metro UI is nothing without Apps. Judging by the positive response at the September BUILD 2012 conference, which was after all for developers, I think Windows 8 Metro is the real deal. However, I have been wrong before. Those Vista gadgets in the their Sidebar seemed to present possibilities for code writers. Looking back perhaps the problem was the Sidebar was just that, an appendage whereas Metro is the main menu. Going back further I remember Microsoft trying ‘Active Desktop’ in Windows NT 4.0, somehow it seemed incongruous, and developed a mind of its own when synchronizing with the web. Down the years I have developed an abiding thought with Microsoft’s offerings, they always get there in the end, for example: Exchange Server, Virtualization and Web Browser to mention 3 disparate technologies. I think that if Microsoft can sweet-talk developers then the Windows Metro UI will be a success. One sometimes forgets the huge base of Windows users, it sometimes seems that Apple Macs are the market leader and Linux clients are running Microsoft close for second place. The truth is Microsoft has an 85%+ market share. Travis P. writes: There is still a lot of debate over whether the new metro-style tile based interface is effective on a desktop machine. It’s funny to me that we have conversations like this every time anything is changed in Windows. A year from now, we won’t remember what the fuss was all about: Microsoft knows that the majority of Windows 8 users will use mouse and keyboard and it will be optimized for that. Currently, the mouse behaviour, in particular, isn’t done. It’s just a developer preview. But the important bit is that this Metro-style interface isn’t an app, it’s the Windows shell. It’s Windows. So get used to it. It’s not going away. But it will get better. Micah asks: I’ve read several articles talking about Windows 8 running on two architectures: x86 and ARM. Makes sense, except x86 is a blanket term for Intel when they should say both x86 and x64, right? Why shouldn’t articles mention both, or will most tablets ONLY be x86 chips? Also, why should Microsoft continue to push the x86 into the next generation instead of pushing x64 technology? Shouldn’t they promote and hype up x64 based upon its superior technology? They are using x86 as a blanket term, yes. So that refers to any "Intel compatible x86- or x64-based PC." [I’ve heard that Windows 8 on slates won’t be compatible with classic Desktop apps.] What are your thoughts on this, have you heard anything? Yeah, that’s accurate. But remember that’s only ARM tablets, not x86 tablets. There will be both. 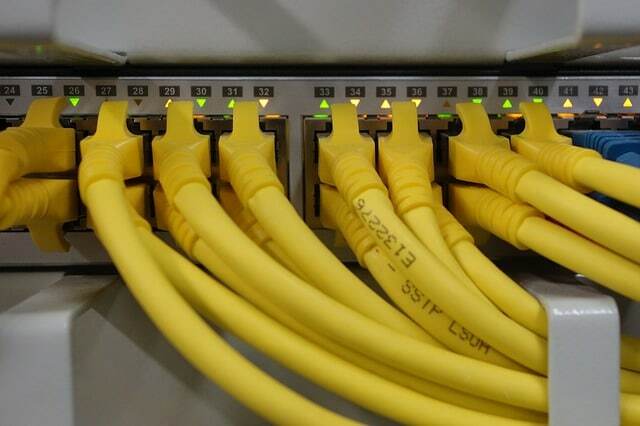 And the x86 versions will work fine with existing applications. Windows 8 introduces itself with a radically different user interface. Under the covers, the kernel of Windows 8 is much like Windows 7, but the user interface for desktops and laptops is revolutionary. The switch to tiles brings with it a new mind-set, instead of scrolling through windows you grab tiles and swizzle them into position; a technique that Smartphone users will already have mastered.